Today, there is a big competition in the mobile app market which plays an important role and challenging for the businesses to get their apps on the top. Success in marketing depends on the accurate use of data to make decisions that will help advance mobile app downloads. Mobile apps are now an integral part of the digital strategy, having more than 1 million apps in both the iTunes App Store and Google Play. In this crucial time period, to optimize the onboarding process need to focus on highlighting the value of the app. 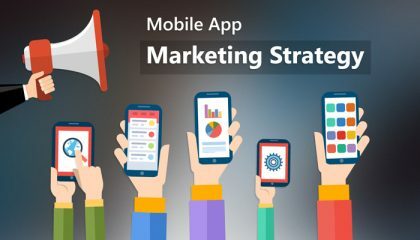 If you are unable to impress your new users quickly, you can follow the best resources for marketing mobile app which will get more benefits earlier. Nowadays there are published resources available that give you tips and guidance on how to growth hack your way into getting consistent downloads over the long term. I hope that this is the best resource guide that compiles one of the best articles found on helping you do so. There are the 5 strategies that will get you quick success in doubling your app downloads. As an executive, your app is ready for business and your app is starved for downloads or has a steady growth, implementing these strategies will help for your app to receive double the downloads which have not received in the recent past. These three channels that will help you get your marketing started and help you scale user growth. Working on these channels alone will ensure focus on your activities and predictability in growth and user acquisition. Interesting and unique content pulls people to your blog and in turn that helps in getting more click-throughs to your app. create a ton of fantastic content on your own blog and as guest posts that audience is reading and sharing will also help you get bonus points in your search-engine rankings. It helps in building credibility and establish yourself as an industry thought leader. This is one of the most predictable methods and expensive means to acquire users. Many app developing team have been known to spend a huge amount of money within a very short period of time to give a considerable boost to download numbers. The most predictable means of acquiring users is through paid placements across search (Google, Bing), social media like Facebook, Twitter, LinkedIn and through means of retargeting and banner ads. This should be your preferred medium to draw downloads consistently, that the customer lifetime value is greater than the cost of acquisition of the customer. Many ways that users discover apps, such as directly through the app store or through the web. Either way, build with an agreement or great engagement and ensure people not only download your app but also spread the word about it. Mainly in your app landing page needs a tremendous value and not simply act as an advertising page/banner for your mobile app. These are the ways to make sure you optimize your landing page for increased conversions. Let’s have a look at that which are the ways that you can influence your user to buy or download your app. First, you need to influence your users even before they get to your landing page. Most of the users should be convinced of the value you’re offering and your microsite, app-store page, etc., should essential. Contribute blogs or other publications. Finally, over the last decade, some of the most successful entrepreneurs and marketing gurus launched many apps in early-stage startups who have gone ahead and made hundreds and millions of dollars using these platforms. If you have an idea for mobile app development and not sure where to start, I can help. Feel free to contact or reach us @FusionInformatics.